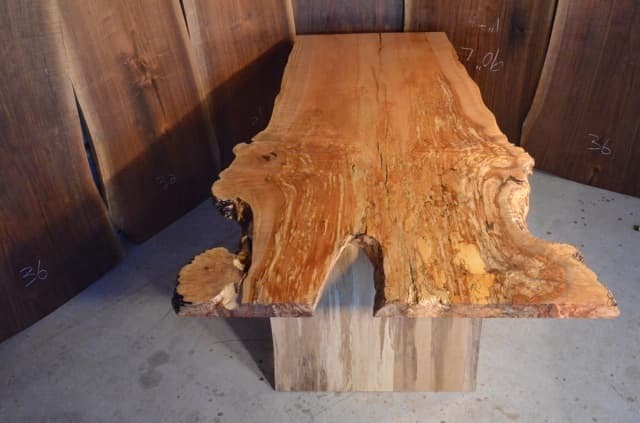 One of a kind table from a huge tree cut in Tillamook, Oregon. 7’3″L. x 2 3/16″ Th. x (51″, 47″, 38″, 34″) W.